If you suffer from migraines, you probably have a go-to routine that you engage the moment you realize one of these debilitating headaches is coming on. For most people, that looks like dosing up on over-the-counter headache medicine and retreating to a dark, quiet place to wait for the pain to stop. Unfortunately, treating the symptoms in this way does not begin to address treatment of the cause. While it can be next to impossible to identify a single source of the migraines, what has been discovered is that a multi-tiered healing approach that holistically addresses you and your lifestyle can, indeed, affect a positive outcome. If you’re looking for migraine treatment in Cincinnati, you’ve come to the right place. Blatman Health and Wellness Center specializes in creating a uniquely tailored approach to migraines that is different from anything you’ve tried before. No single therapy method alone shows success with migraines, but through a combination of carefully selected treatments—such as Healing Touch, Photon Therapy, Trigger Point Injections, Massage Therapy, Platelet Rich Plasma injections, expert nutritional advice, exercise, and reduction in toxic exposures—we will work in partnership with you to create an action plan that will show real improvement in your condition. What Am I Getting Migraines? Migraines are painful. And they can be challenging to treat. Most modern doctors can only prescribe expensive migraine pills which don’t always work. The best way to treat migraines is to determine why you’re getting them in the first place. Common causes include Vitamin B deficiency, magnesium deficiency, hormones, and stress. Migraines can also occur if you’re intolerant to certain foods. No matter the reason you’re getting migraines, we’ll work together to find the cause and eliminate them from your life permanently. Call to schedule your first appointment with a migraine specialist now. True healing is about addressing the person as a whole—body, mind, and spirit—and creating balance between these elements of the self. Migraines are an extremely painful issue to struggle with. Not only do they cause well-documented physical pain for those they affect, but migraines also prevent people from doing their work, spending time with loved ones, and enjoying life to the fullest. Let Blatman Health and Wellness Center help. Cincinnati migraine care begins with us, and we’re here to serve you. Studies performed over the last decade have linked the occurrence of chronic migraines and headaches to deficiencies in nutrient nutrients – notably magnesium. Magnesium is a trace mineral that’s used in more than 300 different biological processes in the body and unless you’re consuming significant amounts of vegetables, you’re likely deficient in this critical nutrient. 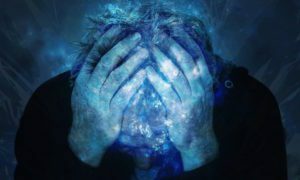 Magnesium deficiency is linked to painful migraines, which may explain why certain headache sufferers report relief after a few months of magnesium supplementation. Most people are already familiar with food allergies. Foods like peanuts, shellfish, and wheat can all cause noticeable and sometimes serious reactions in individuals who eat them. But a food sensitive is an entirely different matter. Did you know that you could be sensitive to a food without showing any obvious reactivation? For example, certain foods can lead to a minor reaction days after you’ve eaten it! Because of this, it’s hard to determine if you’re sensitive to a food and which one is causing it. In some groups of people, certain foods can lead to migraines. Therefore, it’s important to work with a health and wellness center that can help you pinpoint your potential food sensitives through nutritional counseling and careful dietary planning. Scoliosis causes your spine to curve into a spiral that looks like an S on x-ray. sideways, often in an S or C shape. The symptoms are usually noticed scoliosis during late childhood and the early teen years, when children grow the most. The sideways curvature can cause various degrees of back pain. If the spine curves in a way that reduces the amount of room in the chest, it can even cause trouble breathing. We at Blatman Health and Wellness have a variety of treatments available for your scoliosis. Our experts will work with you to determine a therapy – or a combination of therapies – that work for your particular symptoms.